As a start-up business, you are probably working on a limited capital. You’re trying to do everything yourself because you still can’t afford to hire people for your marketing campaign. It’s no wonder you chose to introduce your brand and reach out to your target audience through social media. Social media is a powerful tool for business owners, especially for start-up entrepreneurs. In fact, it has grown in popularity over the past decade and has contributed to the success of several businesses all over the world. However, there are a number of myths floating around. These myths can ruin your chance of selling to your target audience. Let’s put these social media myths to rest. Maintaining a social media account takes time and effort. There’s no point in opening an account on Instagram if your target audience isn’t there. What you want to do is to determine where your audience, and focus your efforts on those platforms. With so much information on the internet right now, some of you may think that creating a blog won’t help you reach your bottom line. But the truth is, a business blog is a great way to capture the attention of your target audience. Make sure that you supply them with interesting and informative blogs, and they’ll surely be coming back for more. Give them tips and share your knowledge with your audience. Eventually, people will see you as an industry expert. While regular posting and fast response is important, you don’t need to monitor your social media accounts 24/7 just to build a strong social media presence. We understand that you’re busy, but please make sure that you have at least one social media post per day. Post less than that and your fans and followers will eventually forget about you. Although it’s easier to reach out and engage with your potential and current customers on social media, that doesn’t mean that you shouldn’t update your website from time to time. Write blogs, provide updates about your recent projects, and then share them on social media. Use it to attract your audience. Encourage people to share your post or voice out their opinions. Because these social media posts are linked to your website, it can help drive traffic to your website. Remember, the more professional your website is, the more advantages you can gain. Every business owner wants his business to stay ahead of the competition. But if you want to remain successful, a lot of things should be done and most of them are not particularly easy. Here are some strategies that you can use to keep your business one step ahead of the competition. Entrepreneurs can enjoy great benefits by keeping track of their competitors. While we urge you to spy on your competitors, we discourage you from duplicating their ideas. Your goal is to see what they are offering and what their unique selling point is. Figure out a way to make it work for your business and use this knowledge to your advantage. If you want to stay ahead of the competition, you need to do it better than they did. You and your competitors will be competing for the same customers. Whoever wins will receive a bigger segment of the market. It is easier to keep a customer than it is to acquire a new one. All it takes is a better offer from a competitor or a single negative experience. Show your customers how much you value them by interacting with them through social media and improving customer service. In order to succeed in today’s quickly developing world, you need to change more often and sooner than you think. What might be working for you today might not be effective in the future. Innovation is the key to sustaining your company. If you want to satisfy your target audience then you need to give them what they want. But most of the time, their wants and needs change. You need to be able to keep up with the demands of the people. Follow consumer trends and try to keep up with the developments in your sector. Choosing the right channels to reach your target market is a crucial decision. It is important that you know where your prospects and customers are spending their time online. With Twitter, Instagram and Facebook leading the pack, most businesses are tempted to use more channels and to have a presence on multiple social media platforms. Of course, the more social media sites you use, the more customers you can reach. But it also increases cost. If building presence in multiple channels does not bring about extra sales, then you’ll end up spending more for little or no benefit. Here’s a quick set of considerations as you select the right social networks to reach the right market. You should use this channel if are looking to reach younger men and women. Since Twitter appeals to information junkies, it is also a great choice if your business lends itself to the provision of timely insights or topic-based news. It is also a two-way platform wherein you can engage and interact with your followers. If you are seeking to make business connections or are in B2B and you wish to provide useful insights to people thinking about their work, then LinkedIn is right for you. It is optimal for industry-specific information and peer networking since most users are in work mode on LinkedIn. Given the educational levels and high income of the average LinkedIn users, this channel offers a distinct audience worth targeting. If you are looking to reach as broad a network as possible or wish to build a community presence, then Facebook is right for you. Despite the introduction of new social media sites, Facebook is still one of the most popular sites, with more than 70% of online adults actively participating. However, since most people use this platform to connect with their family and friends, it may not be the best channel to reach your target market. 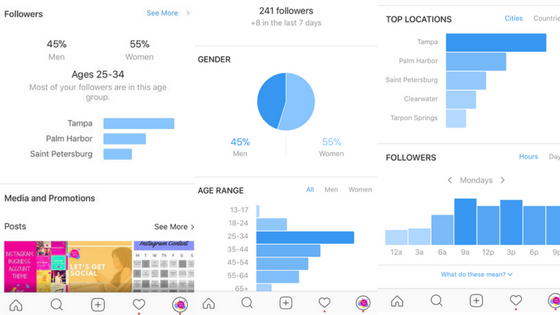 If you have a visual aspect to what you do and what your customers are interested in, then Instagram is the right channel for you. Given its popularity among urbanites and its appeal to specific ethnic segments, Instagram can also be a good choice for certain market targets. Generating leads for your business is not an easy task. It requires a lot of work. If it would make you feel better, we’d want to let you know that there is a ton of other marketers who are also struggling with the same troubles. In this article, we have rounded up some of the most common lead generation problems along with the solutions to help you get things rolling in the right direction. Read on and we’ll tell you more about it. Your ability to produce a steady stream of traffic is important as it affects your ability to turn visitors into leads and leads into paying customers. If your traffic is leveling off, then optimization is necessary. That being said, you might want to conduct keyword research. On-page SEO practices like the use of keywords in your title tags, headers, meta-description, links and URL will help you boost your search engine results ranking. Producing tons of leads is great, but it’s the quality of incoming leads that will influence the success of your business. The best way of addressing unqualified leads can only be summed up in 2 words: buyer personas. In order to capture the right leads, you first have to determine your target audience and capture their attention. If you think lead generation is challenging, it could be even more challenging if you are working on a tight budget. When the money tree shrivels up, you should have a plan in place in order to sustain lead generation. If you are focusing on traditional methods or PPC, we’re not surprised why you are sweating profusely. Well, we’re not insinuating that inbound marketing is free, but there are a lot of methods that you can use without sucking up your entire budget. Lead generation doesn’t always have to be costly. This is especially true if you think smarter, not harder. The sheer value of social media marketing combined with the rapid rate in which these platforms are progressing is something most business owners and companies cannot cast aside. Social media marketing works and is here to stay. Everybody knows that. But that does not necessarily mean you’re using it right. In an attempt to help you, we have outlined 5 signs that you’re using social media wrong plus a few tips on how to fix it. Not sticking to a regular posting schedule is the most common mistake new social media marketers commit. If your profile runs dry for a few days or weeks, your followers may fall out of habit of checking in with your business. The internet is a noisy place. If you wish to cut through that noise, then you have to employ a unique tone for your business. Employing a unique voice will help you build trust, build and maintain your reputation and engage in meaningful conversations with your followers. Without it, your message shall be left twisting in the wind. Social media is all about interaction. Sending your thoughts in a one-ways fashion will not help you in any way. Instead, you’ll be missing out on the powerful benefits of engaging with people. No matter how popular your company is, you can’t prevent negative comments from coming. Instead of ignoring or deleting them, it would be best to offer your sincerest apology, provide them with a candid explanation and any actions you might want to take. Plus, re-assure your client that this won’t happen again in the future. When it comes to building a social media following, you should not focus on quantity alone. You may have a lot of followers but if your engagement rate is close to non-existent, then you’re definitely doing it wrong. Build a following that would help you grow your business. Try to connect with people who would find your contents useful and whose content you can benefit from as well.